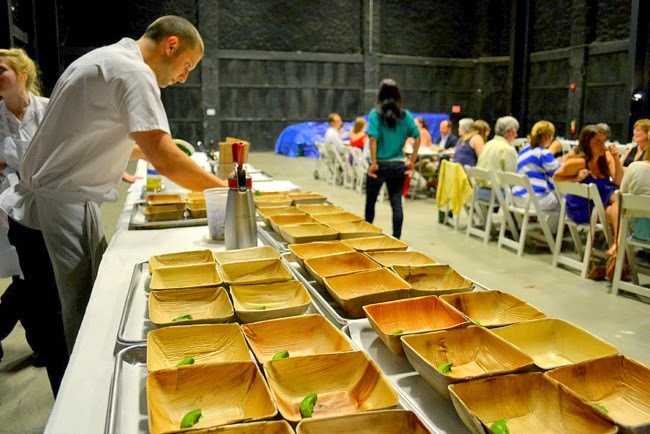 Dinner Lab is a popular, well-funded, membership-based, traveling pop-up dinner company that "exists to bring people together with new ideas in food." The company does this by hosting exclusive dinners at obscure locations in various cities throughout the U.S., where they give undiscovered chefs a creative platform to prototype new dishes and ideas through a multi-course, themed dining experience. After the meal, the intrepid diners provide detailed feedback to help the chefs and company iterate and grow. Dinner Lab is backed in large part by investors including Whole Foods, so in addition to being a source for exciting meals, it's really a method in research and development for the upscale food industry. Dinner Lab was first launched in New Orleans, has since spread to 20 cities, and is ready to launch in America's Finest City, hosting its first dinner in San Diego on Friday, October 3 - five courses by culinary vagabond, Chef Ryan Carson of 'Pri-vē. 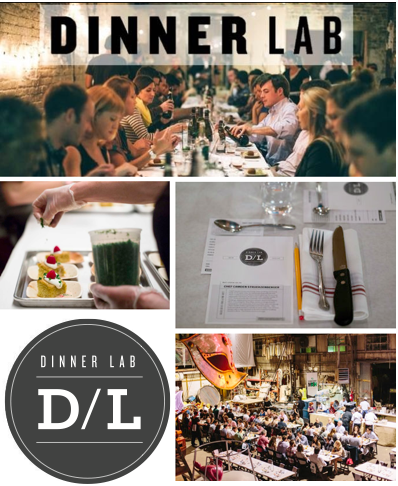 Dinner Lab operates through a membership model where one pays an annual fee up front ($175/year that begins when you attend your first dinner, not when you pay for it), which provides members access to the calendar of events for them plus one non-member guest. The company claims that this is not in the interest of exclusivity, but rather as a means of subsidizing the up-front cost of the meals - hiring people, renting a kitchen, etc. 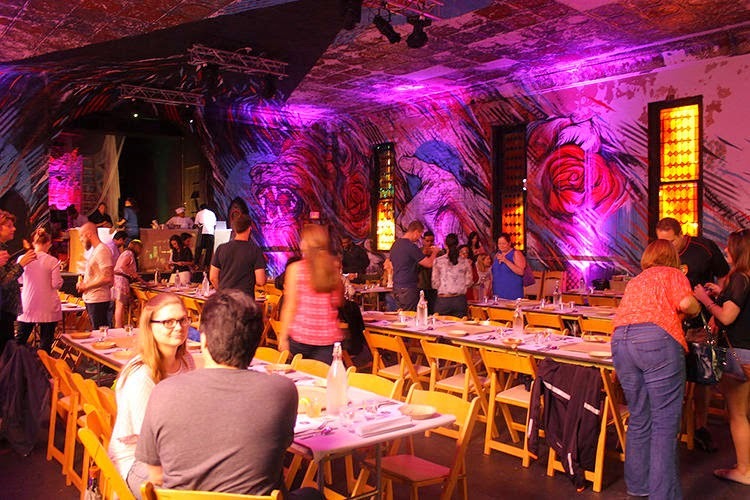 Guests then pay for each dinner (average $60-80) and have access to not only events in the local market, but in every other city that Dinner Lab operates. Tickets are purchased through the website starting a few weeks prior to the event, and prices are inclusive of at least 5 courses, tax, gratuity, and alcohol. The first San Diego Dinner Lab will take place on Friday, October 3, with membership currently open to SanDiegoVille readers. Five courses will be prepared by Chef Ryan Carson of Los Angeles, who is known to have an impressive ability to create intoxicating dishes that evoke the warmth and spirit of comfort food, fine-tuned with the precision of modern culinary techniques. Carson learned how to cook at his mother’s side at an early age and loved to experiment with the family recipes. 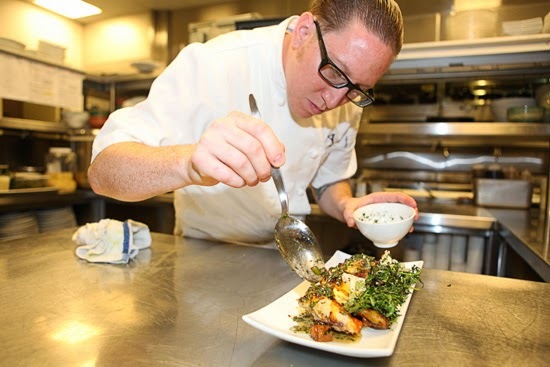 Following in his father's footsteps, Carson became a chef, graduating from the prestigious California Culinary Academy in San Francisco and gaining experience in some of the best kitchens in San Francisco, L.A. and Orange County. Carson is also the chef/owner of the critically acclaimed pop up restaurant in Los Angeles, 'Pri-vē. Although the dinner's location is still unknown, we do know what Carson will be cooking for the San Diego debut of Dinner Lab. His meal will start with cured Hiramassa with burnt avocado, tangerine, frozen beet, buttermilk whey and cocoa. The second course will be a re-ripened watermelon with black garlic, kaffir lime, vanilla pickles and forbidden snow. Next will be a Wagyu tartare served with bone marrow, hearts of palm, wild chives, smoked yolk and sourdough. The fourth course will be brined & roasted pork belly with salt baked sweet potatoes, pistachio, mustard greens and whipped fish sauce. The meal will conclude with stone-fruits with honey pound cake, buttermilk cottage cheese and basil. The beverage pairings are still being finalized. Dinner Lab pulls about half of their participating chefs from the local market while the others are top performing chefs brought in from from other markets. The locations for the meals are only revealed a day in advance and are always nontraditional, like an open warehouse or a parking structure roof - you get the idea. Once up and running, Dinner Lab feasts will be hosted weekly in other strange San Diego locations. Participating chefs at Dinner Labs around the country are asked to tell a story through their menus - recipes that speak to their background or heritage, ingredients they are passionate about, or completely new dishes they’ve been experimenting with on days away from the restaurant. Each time a participant attends an event, their feedback and suggestions are shared with the chef so that he or she may improve on their menu concept. Diners are asked to rate each dish’s creativity and taste, as well as each drink pairing, on a scale of one to five and also to decide whether or not the course was “restaurant worthy.” All of this information is aggregated and then delivered back to the chef. The diners are not only helping the chefs to improve their meals, as Dinner Lab also has hopes to use the wisdom of the crowds to build on their compiled data and package it for any chef or restaurant looking to overhaul or create a menu. With big data becoming ever more necessary and valuable, owners could acquire original recipes that were surefire hits, rather than waiting for customers and critics to weigh in on Yelp or in person. And by serving prix fixe menus, Dinner Lab can demonstrate that diners loved certain dishes that they otherwise may not even try. Soon Dinner Lab will try their approach in a more conventional setting with the anticipated opening of at least one, and as many as three, brick-and-mortar restaurants in locations determined by the company's membership population and feedback. To determine who will be leading their restaurant(s), Dinner Lab recently held a competition where they sent nine chefs on a 10-week tour and, through diner feedback, narrowed the field to three chefs. These chef finalists will soon partake in another tour that will ultimately determine which of the chefs will end up running their own restaurant, possibly even all three. Dinner Lab certainly has its share of believers, including John B. Elstrott, the chairman of Whole Foods Market who, along with 24 other investors, recently invested into the previously bootstrapped company $2.1 million which, including additional funds that Mr. Bordainick hopes to raise in coming months, will help open the restaurants that will be built with Dinner Lab principles and knowledge in mind. 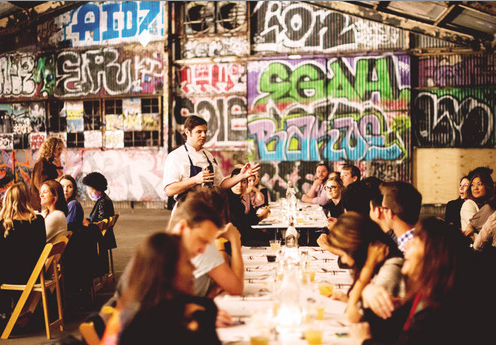 If all goes as planned, Dinner Lab will operate in 40 cities, including international ones, by the end of 2015. 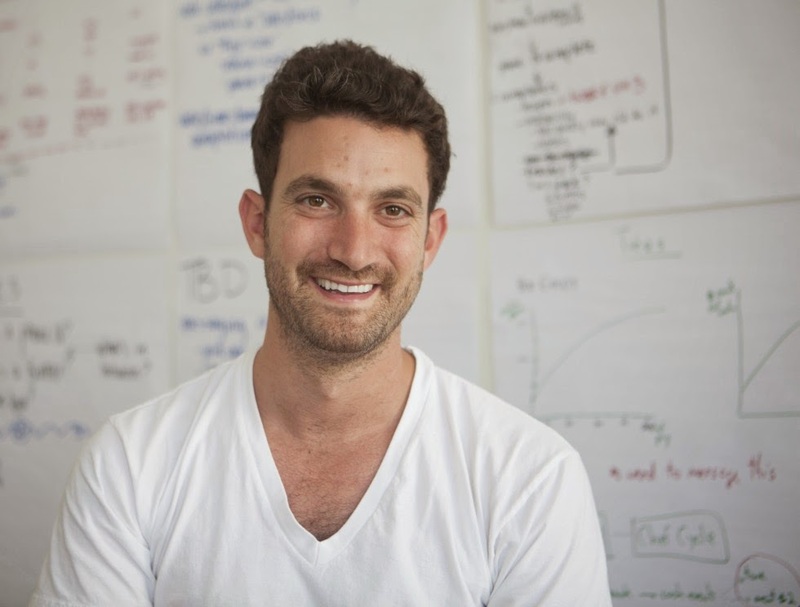 The idea for the Dinner Lab came from CEO Brian Bordainick, who turned 29 this year. He had a desire to find quality food late night in New Orleans that wasn't cliche or touristy. He decided to solicit friends that could cook and make his own pop-up meals. The first event in 2011 was for 12 friends, followed by another about a year later for 60. Dinner Lab was officially founded in August 2012, and is now run by a six-person team. Dinner Lab closes memberships throughout the year, but we have a special link for SanDiegoVille readers so they can skip the wait list - dinnerlab.com/openuser/memberjoin.php?inviteid=xXjYzM. For more information, visit dinnerlab.com.